As the government prepares to address the involvement of schoolchildren in violent extremism, a controversial program in the UK shows a dangerous path that Australia must avoid. 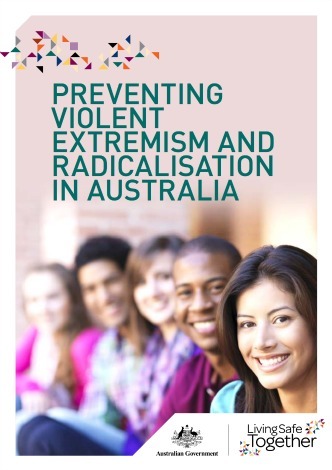 In September Sydney's Daily Telegraph ran the headline 'Schoolyard Terror Blitz', reporting that 'schoolteachers will be given access to radicalisation information awareness kits explaining how to identify students at risk and what they should do to intervene as concerns grow about the rise of teen terrorists'. The government's actual plans are not clear. In May 2015 the then federal education minister Chris Pyne appeared to disavow any idea of having teachers spot potential terrorists, and the language of justice minister Michael Keenan's media releases is more restrained than what his office appeared to announce through the Telegraph. Nonetheless, the prospect of encouraging teachers to try to spot early warning signs of terrorism is extremely worrying. Events like the Numan Haider incident, and the fact that some Australian schoolchildren (such as Abdullah Elmir and Jake Bilardi) have joined the 'Islamic State', likely prompted the concern about teenage involvement in terrorism. The recent murder of a civilian police member by a 15-year-old boy in an apparent terror incident may spur increased efforts to involve schools in Countering Violent Extremism (CVE). CVE is a broad term that refers to non-coercive measures aimed at reducing the chances of people becoming involved in terrorism. CVE is an important element of counterterrorism, and is rightfully part of Australia's response to the heightened threat resulting from the conflicts in Syria and Iraq. However, CVE remains an experimental area and can risk causing harm, particularly if programs are broadly-targeted, treating whole sections of the population as potential terrorists. The UK shows the dangerous direction Australia could head in. From mid-2015, UK schoolteachers have had a legal obligation to spot children considered vulnerable to radicalisation. The UK government has repeatedly stated that its measures are not intended to stifle debate on controversial topics or create an atmosphere of fear, but how it works in practice is a different story. There have been reports of children being referred to an early-intervention program called Channel for simply using terms like 'alhamdulillah' and 'allahu akbar', of a 12-year child being referred to police for expressing the view that the government hates Muslims, of a 14-year old boy being questioned by child safety officers for using the phrase 'eco-terrorism' in a discussion on environmental activism, and of a 15-year-old boy being questioned by police for handing out a leaflet calling for a boycott of Israel. These outcomes are unsurprising. The policy puts 'untenable pressure on teachers to recognise something in its early stages that others have found it almost impossible to identify or predict'. This leads to blunt approaches, such as UK schools installing software that flags if students search for terms believed to indicate jihadist ('caliphate', 'jihadi bride', 'YODO', 'John Cantlie') or far-right ('pogrom', 'Storm Front') radicalisation. No compelling case has been made that counter-terrorism benefits will result from this. The director of the International Centre for the Study of Radicalisation points out that Channel has not been opened to independent scrutiny. These sorts of broadly-targeted CVE programs risk being counterproductive in several ways. The resulting stigmatisation and atmosphere of fear could feed extremist narratives. The false leads generated by teacher guesswork could divert attention from the small number of genuine threats. The distrust bred could inhibit cooperation in the cases where it is really needed. A further danger is what has been called the 'D.A.R.E. effect'. This refers to the Drug Abuse Resistance Education program, which began in the United States in the 1980s to warn schoolchildren about the dangers of drugs. Later research indicated that the program may have actually heightened students' curiosity about drugs, increasing use. Our government will not necessarily go as far as the UK, but it's an important risk to be aware of. Australian counterterrorism policy thinking has often held the UK as a positive example to follow (as happened with control orders in 2005 and citizenship-stripping most recently). If the government is convinced CVE engagement with schools is necessary, some less radical approaches, based on encouraging critical thinking among students rather than suspicion by teachers, are being trialled in some Canadian and Danish schools. The Turnbull government is reportedly debating the way ahead in the wake of the Parramatta shooting, and its current plans are unclear. What is clear is that Australia should not follow the UK approach. Large numbers would be stigmatised and treated as potential terrorists for innocent activity; it would risk descending into racial and religious profiling; the counterterrorism benefits would be doubtful, and the outcome could be the opposite of what's intended. Andrew Zammit is a PhD candidate at the University of Melbourne and formerly a researcher at Monash University's Global Terrorism Research Centre. He had some involvement with the booklet at the centre of the controversial schools announcement. Recent articles by Andrew Zammit. Mr. Zammit fails to fully articulate what was presented in the referenced evaluation of a curriculum not in use for more than a decade. In the evaluation, Dr. Richard Clayton, stated observation of increased use was an artifact of the evaluation. He stated the evaluation’s methodology was not developed to study the matter in question. He opined specific research relative to this issue was required and he doubted the finding would be replicated. I urge everyone to examine D.A.R.E.’s keepin’ it REAL curriculum. The kiR curriculum is based on youth narratives, focused on developing skills and competencies needed for effective risk assessment, decision making, communication, and relationships. kiR, developed by the University of Pennsylvania and Arizona State University, with funding by National Institute on Drug Abuse, is listed as evidence-based on the National Registry of Evidence-based Programs and Practices (http://legacy.nreppadmin.net/ViewIntervention.aspx?id=133). Rigorous scientific evaluation has shown students participating in kiR to evidence, among other positive long term outcomes, a 32%-44% reduction in alcohol, tobacco and marijuana use. An independent SAMSHA evaluation shows kiR to have a 28:1 cost benefit. Rather than rely on dated literature reviews I refer readers to a recent Scientific American article (http://www.dare.org/the-new-dare-program-this-one-works/). Welcome back all at Eureka street and a happy new year. You certainly help balance the day ahead. It was good to have these three articles sifting and clarifying issues buzzing around . Ps. Tim's review and rating of Clouds of Sils Maria , which I viewed recently reminded me of what an astute reviewer he is. Thursday with his film review is a day to enjoy. Cheers and many thanks to you all . It is hard to comment on Tony Abbott's demise without being splattered by the schoolyard mud. But we should begin by sparing a thought for the man himself in this time of humiliation. He has given his life to the Liberal Party, and to be disowned as leader by it is surely devastating.